Spearheaded by The Toy Association, The Genius of Play™ inspires parents and caregivers to make more time for play in their kids’ over-scheduled lives by raising awareness about play’s critical role in healthy childhood development. Toy Association members are invited to join the first-ever annual celebration of play, spearheaded by The Genius of Play. Get free exposure for your products through our social media channels by participating in daily giveaways during May 2019! 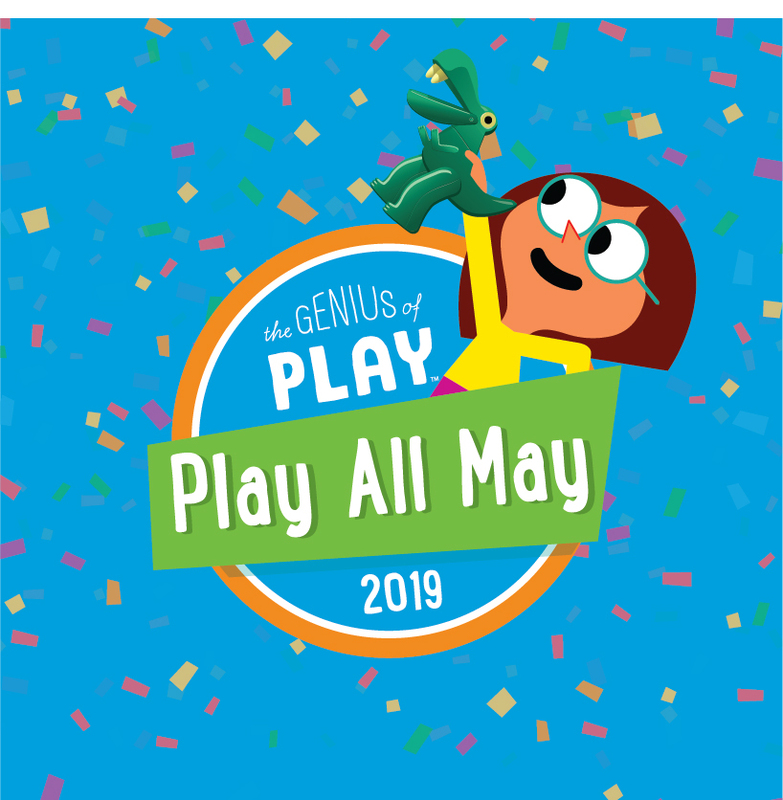 To learn more about “Play All May," click here. The Genius of Play’s new public service announcement campaign which reminds parents about the negative effects of overscheduling and play deprivation. For questions, contact Akshata Hase. Through play, children improve cognitive functioning, build physical skills, learn how to deal with their emotions, and discover how to socialize with other kids. At TheGeniusOfPlay.org, families can discover hundreds of play ideas – from quick games to more involved activities – based on a child’s age and development. The website also features expert tips and advice from a variety of child development professionals, academics, pediatricians, and others who are passionate about spreading the word about the true value of play. The Genius of Play also offers free information and tools that toy companies can use to inspire families to play. Visit our assets page, which includes social media assets, summaries of the most recent studies on the benefits of play, educational videos, and more. Toy retailers can visit our retailer page to download a free “play day” kit to organize an event at their stores that will help them build lasting relationships with customers. To learn more, contact Anna Yudina, director of marketing initiatives.